To learn that you’ve been accepted to the college of your dreams is a truly wonderful feeling, right? All that hard work you’ve put it is finally paying off. But hold up a sec. What about actually paying for your studies? Usually, you’ll need to apply for a college scholarship. And to be successful with your application, you have to make a stunning scholarship resume. Selection committees often look at your scholarship resume before they start reviewing other documents. Yes, you read that right. If they don’t see what’s relevant for them on your resume, they might even decide not to review the rest of your scholarship application, that you’ve spent so much time working on. Fret not. Read on, and you’ll learn how to make the best scholarship resume in the pile. A scholarship resume sample better than 9 out of 10 other resumes. How to write a resume for scholarships step by step. A complete scholarship resume template you can use to make your resume. How to describe your academic experience on a resume for college scholarships to get any scholarship you want. Here's a free college scholarship resume sample made using our resume builder. Want to save time and have your resume ready in 5 minutes? Try our scholarship resume builder. It’s fast and easy to use. Plus, you'll get tips and right vs. wrong examples while writing your resume. See 20+ resume templates and create your resume here. Public Scholarship Resume Sample - See 20+ resume templates and create your resume here. Selection committees have to review thousands of scholarship applications. Now, guess how much time it would take to read this many personal statements, study or research objectives, transcripts of records, and scholarship resumes. That’s why scholarship committee members don’t read every document they get. They skim them, searching for most relevant information. For you, that’s an opportunity. Choose a right scholarship resume template, and you’ll be able to serve the committee what they’re looking for on a silver platter. Use clear, legible fonts. Make your scholarship resume look, well, scholarly. Don’t cram it with gimmicky graphics. White space is your friend - decision makers need some breathing room! 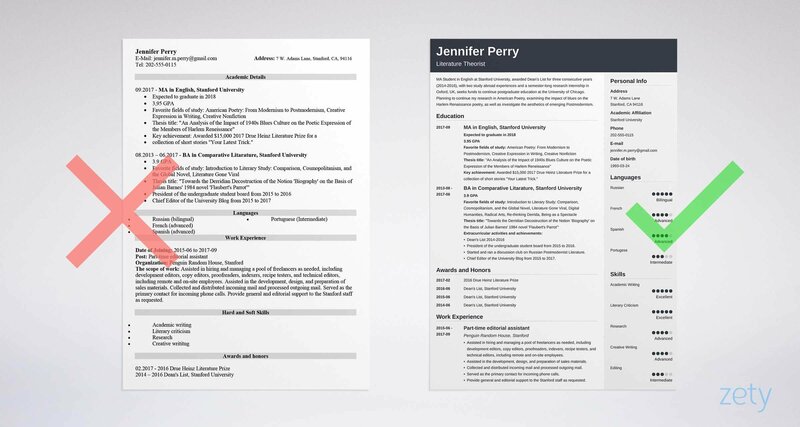 Pro Tip: Once you’ve finished writing your application resume, save it as a PDF to make sure the layout stays intact. How to put scholarships on a resume? How to Write a Career Goal or an Objective for a Scholarship Resume? What’s a career goal or a scholarship resume objective? A brief, concise paragraph just below your contact information in which you outline your academic plans and goals, as well as give an overview of your educational background. True, you’ve already discussed your educational plans at length in your personal statement and your study or research objective - but you still need to reiterate them on your resume. Because it’s the best way to immediately catch the selection committee’s attention - to make it irresistible for them to read your whole resume. How to write a scholarship resume objective? English student with a very strong academic record, extensive international experience and 5 months of internship experience seeking funds to obtain further graduate education in American Poetry. Because it doesn’t include any specifics. It’s got nothing but generic information without any evidence to support it. “Extensive international experience”?! What does it even mean? Working in an international company, taking part in study abroad programs, or just travelling? 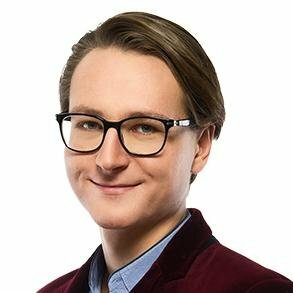 Student in English at Anytown University, awarded Dean’s List for three consecutive years [Show your strong academic record], with two study abroad experiences and a semester-long research internship [Highlight extracurricular activities] seeks funds to continue graduate education at XYZ University. Planning to continue my research in American Poetry, examining the impact of blues music on Harlem Renaissance poetry [Refer to specific future academic plans]. This candidate doesn’t tell the scholarship committee that she’s a great pick to receive funding. She shows it by providing examples of her verifiable achievements and clearly stating her future study and research plans. That’s exactly the way you should do it when writing your scholarship resume objective. Pro Tip: Research the institution from which you’re hoping to receive a scholarship to find out about their values and mission - make a list of the top qualities required, based on the mission statement, website, and accepted students. Remember to refer to those values while writing your personal statement or research objective to show how you fit the scholarship’s requirements. How to Describe Your Academic Experience? It’s pretty obvious that your academic experience section is the most important part of your scholarship resume, right? But does that mean that you have to list every educational institution you’ve attended alongside detailed descriptions of all courses you’ve taken? What do you put in a scholarship resume academic experience section? If you’re applying for a freshman scholarship, put only your high school in your academic experience section. If you’re writing a graduate scholarship resume, leave your high school off, unless it’s very prestigious or you’ve scored some amazing achievements there. Writing a postgraduate or a PhD scholarship resume? List both your bachelor’s and master’s degrees. Don’t forget that the scholarship committee has full access to your transcript of records - that’s an ultimate data sheet comprising most of the necessary details about your past education. In your academic experience section, include the information that your raw transcript of records cannot contain. Show the committee that your academic performance so far has not only been about the impressive numbers, but that you’re also passionate about your field of study. These are solid examples of skills to put on a scholarship resume. How to highlight these qualities? This academic experience section is guaranteed to bring this kind of response from the selection committee. Pro Tip: If you’re just beginning to put together your scholarship application, remember to prepare a separate document in which you’ll record your academic references. List your references’ names, positions, relationships to you, and the number of years you’ve known each other. And don’t forget to inform your references that you’ve listed them! Resumes for scholarships are different from typical, professional resumes. More often than not, your education section will be much more important for the selection committee than your work experience. Does that mean you can omit the latter? In this section of your scholarship resume, list your work experience in reverse chronological order. Start with your current or most recent job and follow it with all previous jobs. Remember that you’re not expected to have done dozens of amazing internships in international corporations or to have held a senior position. Don’t be ashamed of your work history. Mention every job you’ve done, even volunteer experience or part-time gigs. In each entry, list the name of your position, the company, the location, and dates worked. Underneath every job, add up to four bullet points that describe your responsibilities. Assisted Security Department in security assessment and data review. Developed desktop manuals: procedures, quick reference cards, reference materials. Performed additional tasks both in the field and in the office. In the final section of your scholarship resume, it’s time to do some bragging. And it could well be the best selling point of your whole resume. It’s just that, this section quite often falls flat. Because scholarship applicants don’t know how to make their awards meaningful. This award will mean nothing to the selection committee. Alright, so you won. But what was the competition? How prestigious is the award? What are the numbers behind it? Keep in mind, that committees don’t know every single award in the country backwards. You have to give them some context. Awarded $10,000 for the best senior project (out of 400+ projects) by faculty vote. And yes, listing how much you won for your award is a good idea. $10,000? Wow. That means something. Even if I don’t know what exactly the award is, I’m aware that they don’t just throw ten thousand bucks at anyone. Struggling for ideas on what’s worth putting on a scholarship resume? If you’ve graduated with honors, resume awards section is a perfect place to list it. Writing an athletic scholarship resume? List all the individual or team trophies you’ve won. If it’s a team award, write down the name of your team, the division in which you played and your position. It’s a make-or-break moment of your scholarship application, when the scholarship selection committee starts reviewing your resume. Choose a legible, clear format for a scholarship resume. Below your contact information, give a summary of your academic goals and motivation in a scholarship resume objective. Don’t ignore your work experience section. List all your past jobs in reverse chronological order. Quantify whenever possible - make your achievements and awards measurable and meaningful. All check? Then I’m sure you’re going to make your resume work for you! What are your experiences with writing a scholarship resume? Do you have any questions on how to make the most of your resume for a college scholarship? Give us a shout in the comments and we’ll get back to you! A step-by-step guide to writing an internship resume for college students. Over 20 examples will show you how to write your CV. Use our resume sample and a template.